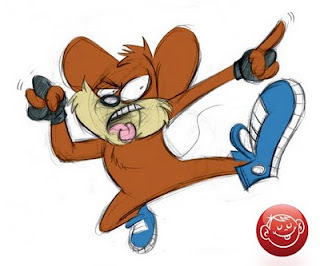 The Tanoshiboy Chronicles: Design & Illustration Blog: Knuckles in yo face! I created this guy, Knuckles, a looooong time ago. I can't really remember...maybe 91'? I remember was drawing lots of ducks at the time. A weird fascination with ducks gave way to this plucky mouse. He was the opposite of Mickey. He wasn't exactly nice or helpful -- just a little tough guy. 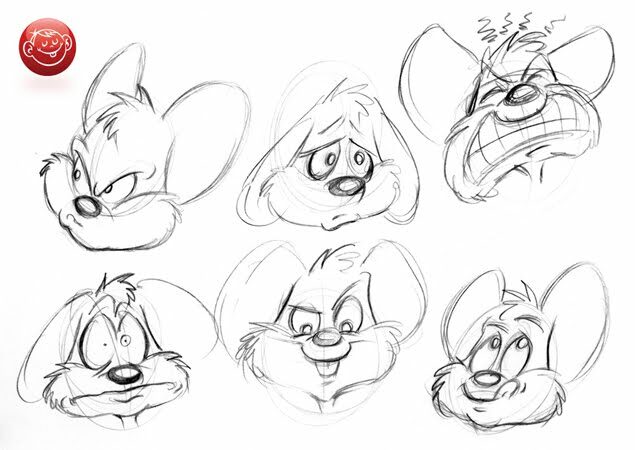 I've been really busy today so I didn't get much of a chance to play with this but I thought I'd share some sketches of the little guy. Still one of my favorite characters, because of the simplicity and the dependence on character and attitude as opposed to design. Enjoy! Maybe a mouse for this generation! Edgier and more real than Mickey (whose squeaky voice always left me cold - guess that could be considered heresy LOL). Argyle is cool but does he have dark days - i.e. morph into darker tones ?